USB 3.0 and USB 2.0 compatibility - Universal compatibility for connectivity today and tomorrow. Works seamlessly with USB 2.0 now and with your USB 3.0 devices when you\'re ready. *Based on transfer rates as high as 5 Gb/s with USB 3.0 vs. 480 mb/s with USB 2.0. Performance may vary based on user\'s hardware and system configuration. High-capacity in a small enclosure - The small, lightweight design offers high-capacity storage, making WD Elements SE portable hard drives the ideal companion for value-conscious consumers who want to take their important files with them. Improve PC performance - When your internal hard drive is almost full your PC slows down. Don\'t delete files. 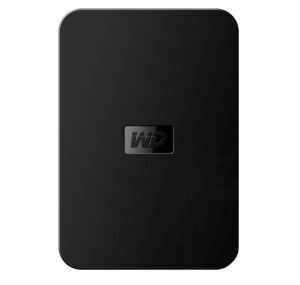 Free up space on your internal hard drive by transferring files to your WD Elements SE portable hard drive and get your PC moving again.